Thomas Juli, PhD, PMP shares with us what it takes to successfully introduce collaboration tools in our projects. Thomas Juli, PhD, PMP says that as virtual team work becomes prevalent these days, collaboration within and across project teams becomes more important. While numerous tools promise to improve collaboration, a tool by itself is no guarantee for effective collaboration. In this interview, Thomas shares key factors for a tool to successfully help promote effective collaboration and contrasts these factors with major pitfalls of introducing and using collaboration tools. In this interview, Thomas helps us understand why collaboration needs to be planned, avoid pitfalls of introducing collaboration tools, and outline action steps for a successful introduction of a collaboration tool. 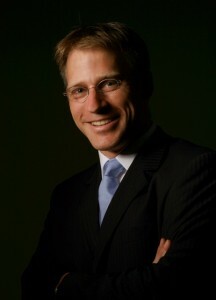 Thomas Juli holds a doctorate in international studies from the University of Miami, USA, and an M.A. in economics from Washington University in St. Louis, USA. He is a certified Project Management Professional (PMP) by the Project Management Institute and a Certified ScrumMaster (CSM) by the Scrum Alliance. Prior to founding Thomas Juli Empowerment Partners he worked for SAP and two leading management and IT consultancies, Sapient and Cambridge Technology Partners. He is author of the book Leadership Principles for Project Success published in August 2010. Tell us a little bit about yourself/your background? How did you get interested in the topic of collaboration in projects? You make the distinction that collaboration is not about the tools, it is about people and human interaction. Why is keeping this distinction in mind critical when introducing collaboration tools to our projects. What are the critical success factors for effective collaboration? You help organizations with the process of introducing collaboration tools. What are the pitfalls of introducing collaboration tools to projects? You provide a roadmap for introducing collaboration tools to project teams. Can you walk us thru the 4 steps you recommend to successfully introducing collaboration tools in our projects? Thomas Juli is an experienced, enthusiastic and results-driven manager. His life’s passion has always been to empower people and organizations. This is reflected in his professional career in management, consulting and training. He provides leading edge program and operational management offering more than 13 years of progressive leadership and management experience in various functions including project and program management, strategy consulting, business analysis, professional training and academic teaching. He consulted for various companies in the telecommunications, banking, energy, and the public sector. He has spoken at conferences on project management and customer relationship management and has written articles on project leadership and management for professional journals. Before entering business he was engaged in research in the fields of economics and US foreign policy. He holds a doctorate in international studies from the University of Miami, USA, and an M.A. in economics from Washington University in St. Louis, USA. This book is about project success. 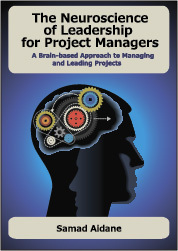 It reveals a secret for project success: effective project leadership. Filled with samples, templates, and guidelines that readers can immediately use in their projects, this practical guide covers the five principles of effective project leadership and how they can be applied in daily project work. Based on experience in project management and the literature on leadership, project management, business, systems, and complexity theory, the five principles include building vision, nurturing collaboration, promoting performance, cultivating learning, and ensuring results. The book explains these principles in simple, nontechnical language and shows how they can set up, manage, and align projects for success. Right click here to download an excertp from the book. Certainly ‘a fool with a tool is still a fool’, but equally ‘collaboration is an attitude not a tool’. Well said. If there is not a will to collaborate, a tool will may make the situation clearly abvious but will never in and of itself create collaboration where it does not already exist.